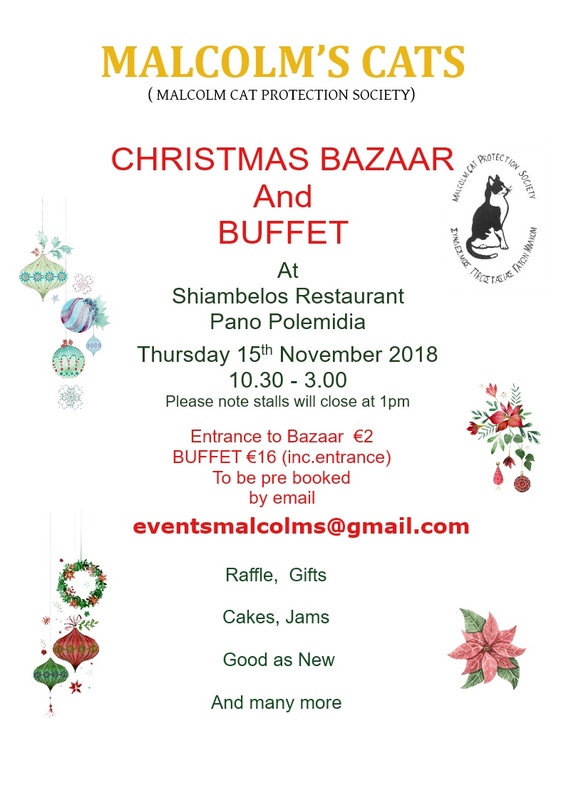 MCPS Christmas Bazaar and Buffett at Shiambelios Restaurant, Polemidia on Thursday, November 15th, 2018. Time 10.30 till 3.00. Tickets are priced at €16.00 including Buffett & tickets for the lunch must be booked in advance. Admission to the Bazaar only €2.00 on the day. Please note the stalls close at 1.00.